Both the men's and women's sides have won the Ivy League title three of the past five seasons. Can they repeat to make it four of six in 2018-2019? Among those with experience at the international level include junior Dean Farris and freshman Morgane Herculano. 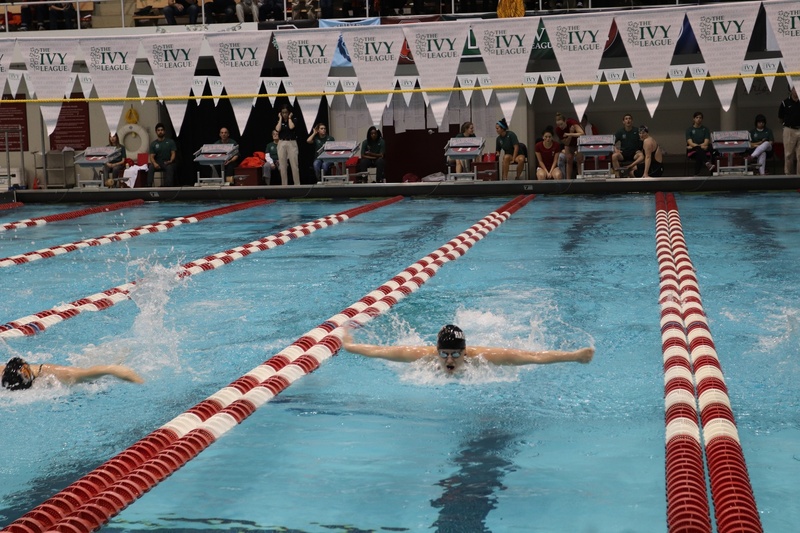 Last season, both men’s and women’s swimming and diving teams captured their respective Ivy League titles. With the offseason nearing its completion, both squads are well placed to replicate the feat in the new year. After capturing its 25th Ivy League title — its third in five years — the Harvard men’s swimming and diving team is setting high hopes for the upcoming 2018-2019 season. After going undefeated last year in what led up to a near 400-point margin of victory in the Ivy League championships, the team is looking for a third title this season. The 32-member team is welcoming 10 new freshmen, including butterflier Jake Johnson, who competed on the international stage at the 2018 Youth Olympic Games in Argentina on Oct. 6 through Oct. 18. Also new to the team is freshman Andrew Acosta, a butterflier and freestyler from Guaynabo, Puerto Rico, freestyler Daniel Puczko from Chicago, Ill., and freestyler Emmanuel Ngbemeneh from Union City, Calif. Among the 22 returning to the team is junior Dean Farris, who will represent the United States at the 2019 World University Games in Naples, Italy. Also back for another season is senior distance swimmer Logan Houck, a 2018-2019 USA Swimming National Team member for his 800 Freestyle with a time of 7:54.80. Head coach Kevin Tyrrell was also named a coach for the 2018-19 National Team and will be returning to the helm for the Crimson this season. In regards to meets during the season, the team has quite a schedule lined up with some heavy travel early in the season. With a possible three-peat looming, the team has taken efforts to not place too much emphasis on a historical record, but rather focus on individual accomplishments and times that will lead to a championship. 2012, 2014, 2016, 2018: Like the San Francisco Giants, the Harvard women’s swimming team appears to have established a pattern of even-year championships. Coming off of a 2018 season which ended in a decisive 125.5 point win over the second place Bulldogs in last year’s Ivy League Championships, the women’s side is back with newfound hunger. The men's and women's swimming teams will welcome 19 freshmen this season. The team, with 28 returning swimmers and divers, is welcoming nine freshmen from across the world. Among them are diver Morane Herculano, a member of the Swiss National team since 2012 and a three-time junior European Championship Finalist; swimmer Mikki Thompson, a 2016 US Olympic Swimming Trials Qualifier, 2017 World Championship Trials Qualifier, and 2017 US Open Swimming Championships Finalist; and backstroker Maddie Heilbrun, a 2017 World Championship Trials Qualifier and 2016-17 Nationals Qualifier and Finalist. Both Holmes and Popp anticipate lots of opportunities for the team to demonstrate their abilities for the upcoming season, with trips to Hawaii, California, Texas, and along the northeast corridor. In preparing for the season, the 36-member team has already been in and about the water for several weeks, with preseason starting weeks before the first days of class. As of now, members are focusing on each of their individualized workouts, with the coaches creating specific sets and practices for the sprint groups, mid-distance groups, and distance groups. However, there’s more to just swimming for the team, especially when preparing for end of season meets. 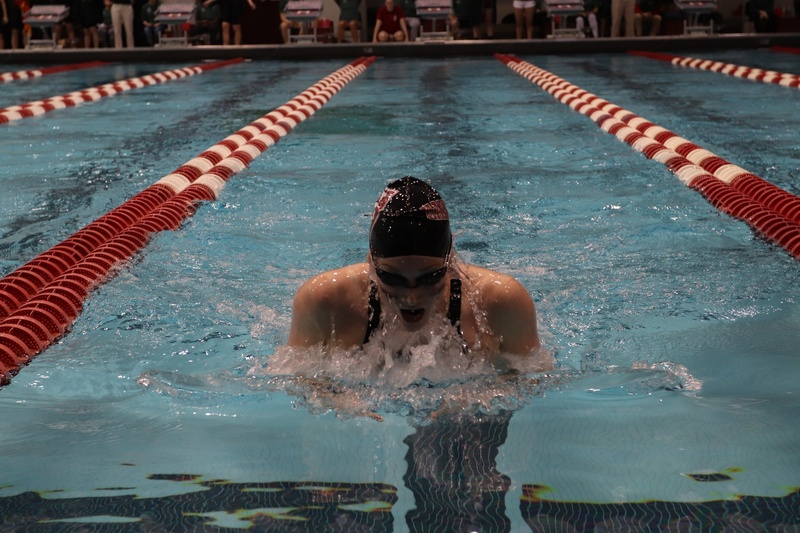 With high hopes and an end goal in mind, the Crimson hopes to best its previous season which saw the 2017-2018 championship team receive 13 All-Ivy honors and break six Blodgett Pool records. This year, going back-to-back and the return of the Frank Keefe Trophy back in Cambridge is on everyone’s mind. Seventy-five men reported at a meeting for all those interested in organizing University and Freshman swimming teams held last evening. The meetings will contribute to a report assessing the state of the Gen Ed Program.